The tech industry’s major players require some serious firepower when it comes to servers. Here is a breakdown of how these giants stack up against each other. 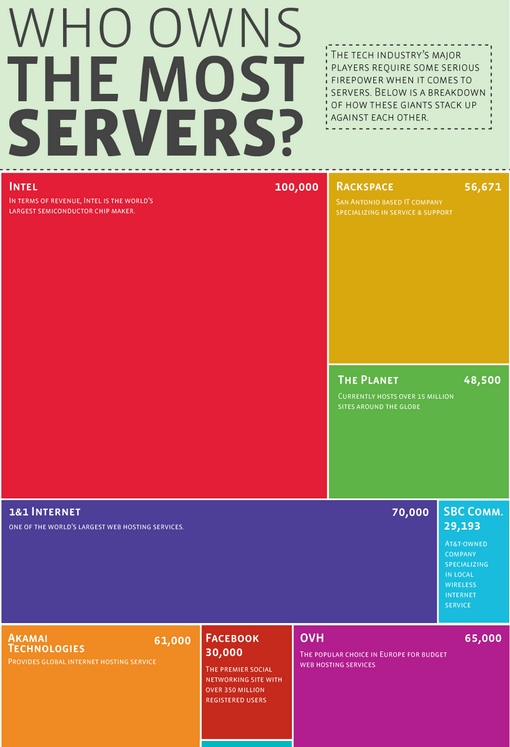 Who owns the most servers? The company that owns the most servers is Google, with more than 1 million servers estimated. It is speculated that Google owns more than 2 percent of all the world’s servers.